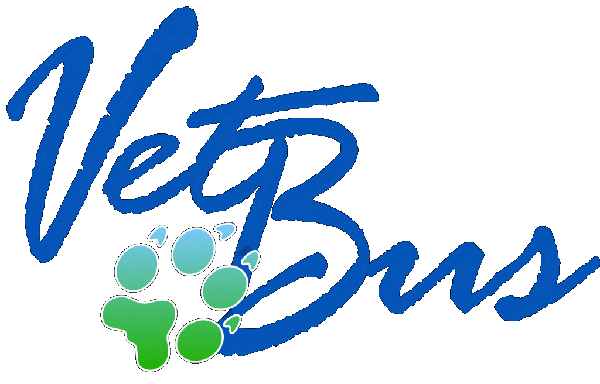 We schedule VetBus procedures, be it a professional dental cleaning, a spay/neuter (S/N) or other surgery, or a wellness visit, by appointment. To book an appointment for a S/N, a dental, a general surgery, or a physical exam, please contact us by phone (760) 230-6040 or email Dr. Heidolph through the "Contact Us" form on this website to coordinate the most convenient appointment date for your pet. We do not routinely see emergency cases, but rather refer them to a nearby veterinary hospital. We will stabilize a critical patient if possible if he/she is brought to us. We do not recommend bringing emergency cases to us, as our doctor is often performing surgery and cannot leave her patient unattended to treat an unscheduled patient. Please realize that we make a sincere attempt to see each client on time. For your convenience, "drop-off" appointments are available. A "drop off" means you could bring your pet at the time that works best for you and leave him/her with us for a couple of hours. Usually, we will ask you to drop off sometime in the morning so our doctor can examine the patient in between appointments or at the time purposely reserved for admitted patients. Once the doctor is done, she will give you a call to discuss the diagnosis and to give you discharge instructions. For the safety of all animals in our care, we require that all vaccinations be up to date. Even though we make every effort to make our patients feel comfortable during visits, they may be a little nervous about new people, new surroundings, and other pets. This is one of the reasons we ask you to restrain your pet, using either a leash or a pet carrier. We require full payment at the time that services are rendered. For your convenience, we accept cash, credit cards, and checks.